In the spring semester of 2017, I was fortunate enough to spend several months studying security and peacebuilding issues in two East African states: Rwanda and Uganda. During my time in Uganda, I studied a number of domestic issues that the country must address in the years to come. One particularly impending issue facing Uganda’s political system and society is the power vacuum that will be created once President Yoweri Museveni leaves the presidential office—peacefully or otherwise. My interactions with Ugandans of various social statuses and political views have contributed to me forming the understanding that, despite the many criticisms that may arise of President Museveni, a majority of the country’s citizens consider him a strong leader, one who has been able to keep Uganda more stable than any time period since Uganda’s independence from the British Empire in 1962. While Museveni shows no signs of relinquishing his power, his increasing age preludes a political void that will have to be filled—a troubling thought for Ugandans and international observers alike. Museveni must lead the way in a peaceful transitional power if Uganda wishes to avoid the tribal warfare and military coups that have plagued the nation in the recent past. For Martin Ojara Mapenduzi, this transfer of power represents the country’s foremost threat to national peace and prosperity in the near future. As the political head of the Gulu district and a member of the Forum for Democratic Change—the largest opposition party to Museveni’s National Resistance Movement party—Mapenduzi has a multitude of criticisms for the Museveni administration. Mapenduzi, in a lecture to a class I took during my time in Uganda, spoke at length about these criticisms. In particular, Mapenduzi voiced his disagreement with the nepotism, corruption, and regional policy favoritism that he finds characteristic of Museveni’s presidency. Despite these views, he acknowledged that chaos will reign if Museveni dies. Mapenduzi yielded that, though President Museveni is viewed as a war-monger, his tenure has been largely non-violent, and he has managed to generally keep the country in one piece. 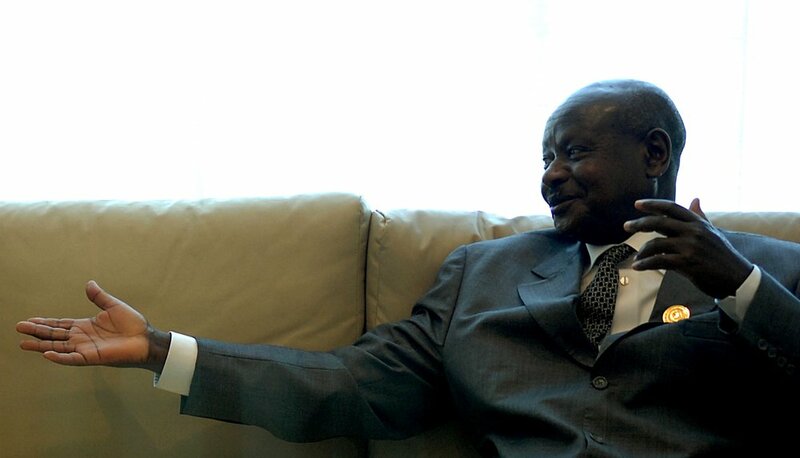 He concluded that Musveni’s death would exacerbate the political and ethnic cleavages that exist in the country, which would likely contribute to the attempted seizures of power by populist military leaders and politicians across parties on both national and local levels. The power grabs that will be attempted in this future political landscape loom even larger considering that Uganda’s earlier post-independence period was characterized by violent conflict and social upheaval. Military coups and power seizures by Milton Obote, Idi Amin, Tito Okello, and, most recently, Museveni himself, force us to recognize that Uganda’s geopolitical arena has many risk factors that would allow for future political uprisings to take place. One of these risk factors is the continued existence of regional and ethnic divisions in twenty-first century Uganda. Tribes of the northern, southern, and West Nile regions of Uganda hold negative stereotypes of their statesmen in other areas of the country that have not dulled over the span of Museveni’s presidency. Anti-South sentiments that contributed directly to the formation of the Lord’s Resistance Army and other rebel groups can be traced back to the British colonial state and the divide-and-rule tactics that it administrated the region with before Ugandan independence. If Uganda is truly committed to the creation of a unified state, steps must be taken to ensure that the country once referred to as “The Pearl of Africa” does not fall back into a period of violent conflict dominated by clashes between warlords. President Museveni must be at the forefront by making efforts to ensure a peaceful transition of power and, perhaps more importantly, by putting forth social and political policy reforms that attempt to aggressively address the issues of regionalization and tribal divisions. If no progress is made towards reaching these ambitious goals, it is likely that Uganda will spiral back into a period reminiscent of the violent military coups that dominated the country in the 1970s and 1980s.